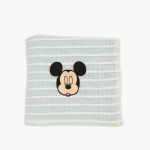 Mickey Mouse Embroidered Blanket - 76x102 cms | Grey | Extra soft . 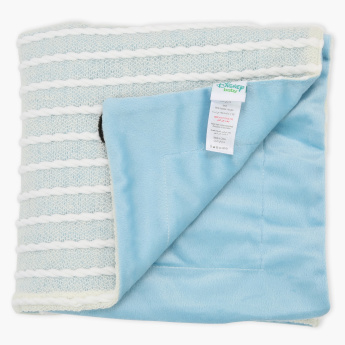 Swaddle your baby in this blanket that will provide your child with much-needed warmth. The Mickey Mouse embroidered detail on the stripes looks trendy and the soft fabric gives your child a snug feel.